Saudi Arabia is an ultra-conservative country. 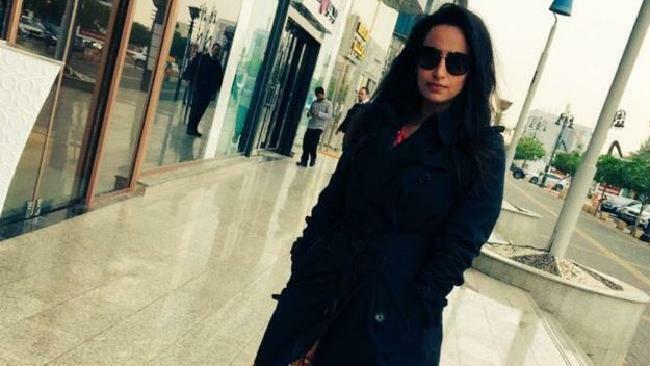 A woman who posed for a photo without wearing the mandatory hijab and posted it on Twitter has been arrested in Riyadh, the capital of Saudi Arabia. According to the police, the woman named Malak al-Shehri was arrested after her photo became viral in social media, inviting outrage for blatantly violating the sharia rule followed in Saudi that mandates all woman to wear hijab while going out in public. Saudi Arabia is an ultra-conservative country that follows Islamic law derived from the Qur’an and the Sunnah (the traditions) of the Islamic prophet Muhammad. According to the police spokesperson, Malak posted her image on Twitter standing in front of a popular café without wearing hijab – the veil that is made compulsory by law whenever a woman walks out of her house. The spokesperson also said that in addition to violating the dress code Malak is also facing charges for indulging in relationships outside her family with non-related men. Maiman, the official spokesperson for the Saudi police said that the Riyadh police is taking action against the woman for transgressing the laws followed in the country and also urged people to follow the teachings of Islam. Saudi Arabia is one of the very few countries that has imposed medieval-like restrictions on women and is also the only country in the world to prevent women from getting a driving license. All women in Saudi, even those who immigrate from other countries, are mandatorily asked to cover from head to toe when going out in public. Women in Saudi are not allowed to interact with men outside their relation freely and all major public places including bus depots, banks, beaches etc… have separate entrances for both sexes. If anyone of found violating the rules they are charged with criminal cases but the harsher punishments are awarded out to women. Women are not allowed to use public swimming pools and they also have separate gyms and spas. Interestingly, they are not even allowed to use the trial rooms in textiles.